The Polaroid CUBE+TM amps up the fun with built-in WiFi, so you can instantly share footage to social networks. 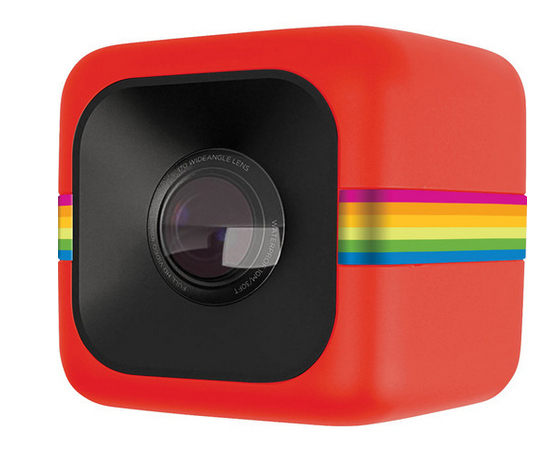 The Polaroid CUBE+ app makes capturing, editing and posting faster and easier than ever before. Stream your footage in real time with iOS and Android compatible WiFi capabilities. Need a viewfinder? Your WiFi-enabled Polaroid CUBE+ can pair with any smart device for real-time view controls and shot framing right from your device screen. Most of life looks great in 720p but we all know there are moments that deserve nothing less than full 1440p. Select 1440p at 30 frames per second for stunning full HD playback. Either way, you control video file size and image quality with the flick of switch. Let your friends and family see the total picture of your life. 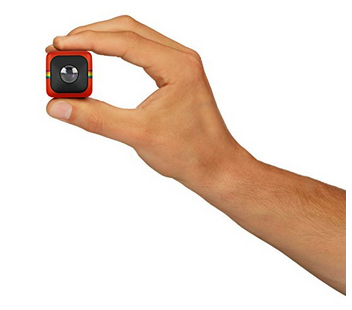 With its 124° wide angle lens, the Polaroid CUBE+ promises to deliver footage as large as your adventures. No one will doubt your glory again. 35 x 35 x 35mm size means you can go stealth. Easily hidden for wildlife capture, as well as lightweight enough to not stress your baggage allowance, the small frame is ready for every video and photo op minus fumbling or fuss. …or the red, or the blue. Stand out from the crowd with an HD video camera in a variety of gorgeous colors and record your life’s escapades in a spectrum of style. 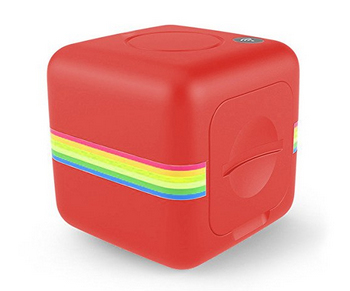 A tough little rubberized frame makes your Polaroid CUBE+ weather resistant and splashproof. Need something more…immersive? Use the optional Waterproof Case and really go deep down, 33’ (10m) down to be exact. Great footage from your ski trip just isn’t the same without the sounds of whooshing. A built-in mic ensures that we hear the ecstasy of the carve and the agony of the face plant. Image stabilization means you can be on the move without the shaky footage. Whether you use an optional mount to fly through space or take handheld shots, image stabilization keeps things crisp. Our HD video camera was made knowing that sometimes you just want to capture the perfect shot. 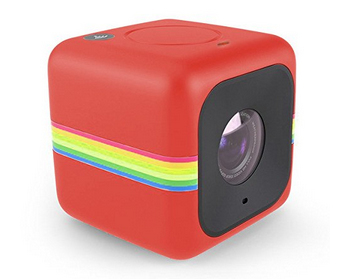 Shoot still images from your Polaroid CUBE+ in full 8 megapixel resolution. Turn it on (and off) and toggle between video and still to record and capture, all from one thumb-friendly button. 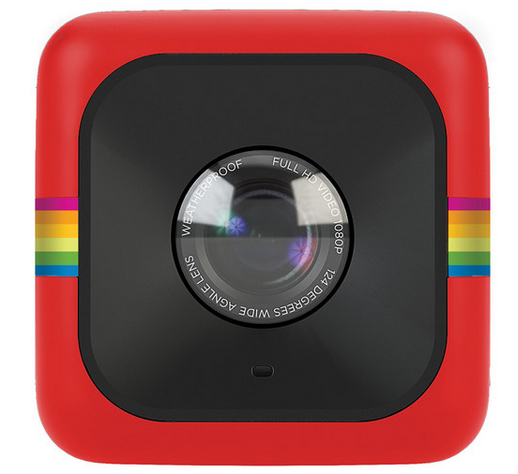 Our family of mounts instantly convert your Polaroid CUBE+ into a ski cam, cycle cam, dog cam…all kinds of cams! Choose from Helmet Mount, Bicycle Mount and more. Our Waterproof Case + Suction Mount will easily affix to your surfboard and capture your ride for posterity. The Polaroid CUBE+ app makes it easy to sync up your camera with a smart device for enhanced features. Use it for access to a viewfinder, and even to connect multiple users to a single camera unit. Capture, edit, save, print and share your images all from the app. Polaroid CUBE+ automatically adjusts to low-light conditions to produce better results when real-world lighting isn’t optimal. Go ahead, get that birthday cake shot!